Be one with the cold. This 144Hz1-fueled machine is cooled by the exquisitely designed and deadly efficient AeroBlade™ 3D fans. 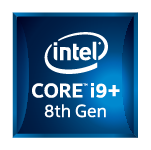 Power your system with the latest processors from Intel® or AMD. Each can handle whatever task you throw at it, and then some. The GPU. The source of any competent, powerful gaming machine. With next-gen solutions from NVIDIA® and AMD, this source is overflowing. 2 Supported keys include Q, W, E, A, S, D, Z, X, C, V, Left-Shift, Left-CTRL, Left-ALT, space and four arrow keys. Specifications may vary depending on model and/or region. All models subject to availability.